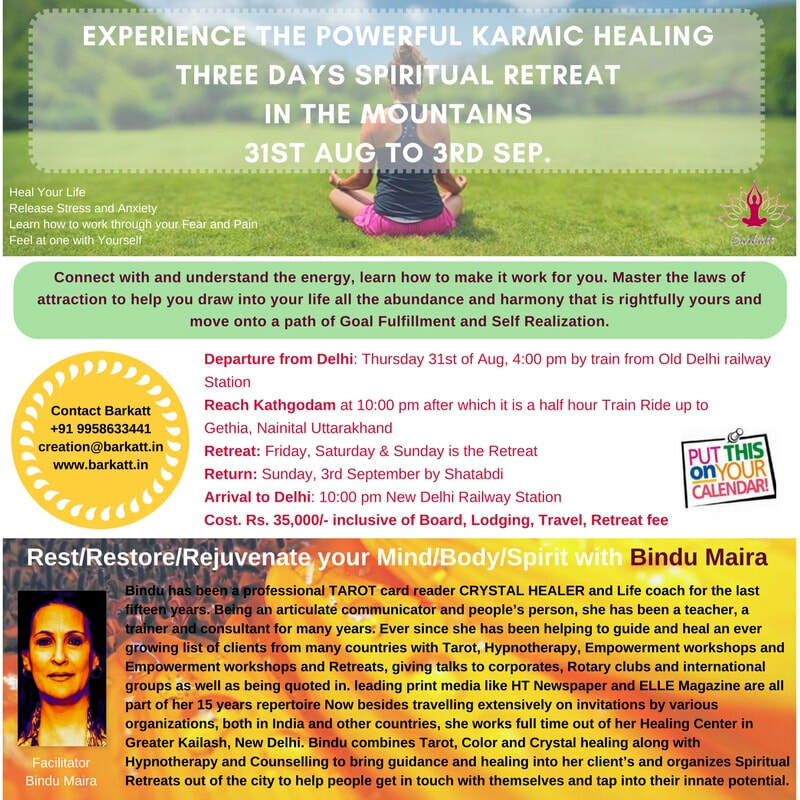 Karmic Healing Retreat - 31st Aug. to 3rd Sep. 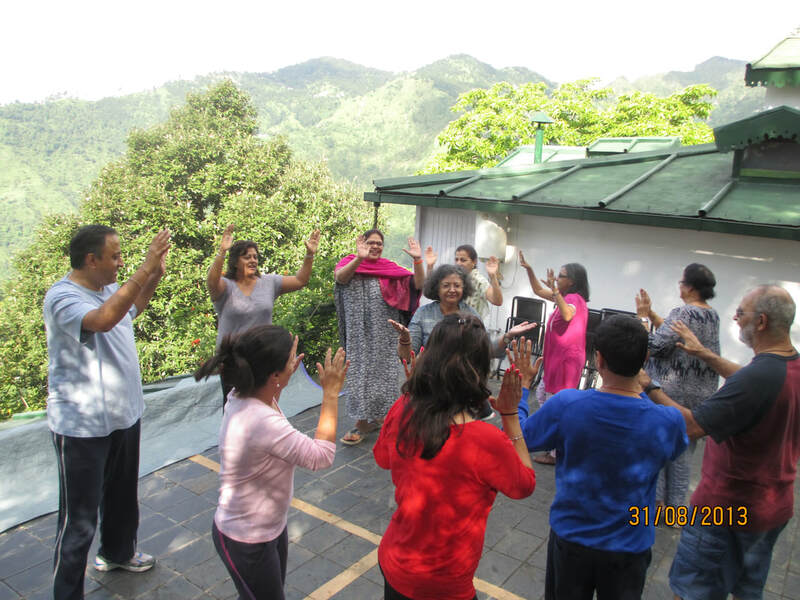 Through guided meditations in the forest, explore the deeper aspects of your multidimensional self, to connect with your higher self. Learn and understand the nature of energy and how to make for you to enhance your personal power to attract into your life all that you desire. Clear your blocks and come away with the secrets that will help you manifest in your life all the abundance and harmony that is rightfully yours … To help you move onto a path of goal fulfilment and self realization. Connect with and understand the energy, learn how to make it work for you. Master the laws of attraction to help you draw into your life all the abundance and harmony that is rightfully yours and move onto a path of goal fulfillment and Self Realization. We are being of energy in a vortex that ebbs and flows. This ebbs and flow is what determines the quality of our life and the existence, and the degree to which we have a capacity to succeed in our endeavor, and live in a state of peace contentment and happiness. The smooth flow of energy ensures good health and happiness and abundance that creates a magnet to draw create and hold in our lives all that is good and fulfilling. All these effectively end up creating barrier in your life that block the flow of abundance and keep you from achieving your dreams and living your life to the fullest. Bindu Maira has been a professional TAROT card reader CRYSTAL HEALER and Life coach for the last fifteen years. An English honors graduate from LSR Delhi coupled with degree in German from Max Muller Bhawan in Pune, she is a versatile woman who has met with success in various fields. Being an articulate communicator and people’s person, she has been a teacher, a trainer and consultant for many years. But while being exceedingly involved and busy with all her activities, she always had a deep and abiding interest in all things mystical, spiritual, and esoteric. After an extensive study of the subjects, she found it to be her true calling and gave herself up to it full time. Ever since she has been helping to guide and heal an ever growing list of clients from many countries with Tarot, Hypnotherapy, Empowerment workshops and Empowerment workshops and Retreats, giving talks to corporates, Rotary clubs and international groups as well as being quoted in. leading print media like HT Newspaper and ELLE Magazine are all part of her 15 years repertoire Now besides travelling extensively on invitations by various organizations, both in India and other countries, she works full time out of her Healing Center in Greater Kailash, New Delhi. Bindu combines Tarot, Color and Crystal healing along with Hypnotherapy and Counselling to bring guidance and healing into her client’s and organizes Spiritual Retreats out of the city to help people get in touch with themselves and tap into their innate potential.